Applications should be made as soon as possible once forms are released since camps fill quickly as we have a first come first served policy. To apply please clearly fill out the application and medical form so we know how best to look after your child. Applications received before 13th November can take advantage of our early bird discount offer. You will receive a confirmation email to your primary email address once the form and payment have been made. After you have been accepted to camp, you will receive further information of travel details to your primary email address. Please read through the other information on the website which details camp policy, welfare arrangements and the packing list. We want everyone who wants to participate in a Sinai Youth event or camp to be able to do so and we know that this can be financially challenging. We strive to lower our costs at all times and take great pride in being the cheapest camp in Europe for what we offer. We have a Financial Assistance fund that is there to make sure no one is turned away. Please apply! Financial Assistance can be requested for all programs. Please select ‘Yes’ for Financial Assistance on the Application Form and you will be sent to a separate application form on completion. The deadline for camp forms also applies to bursary applications. We are sorry that we cannot accept late applications as once our fund has been allocated it is then closed for the year. Financial Assistance is dealt with in a strictly private and confidential manner. 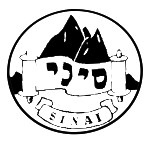 Sinai Youth is a youth movement run by young people for young people. Our camps run for 3-16 year olds and are staffed by 17-25 year old volunteers. In addition each camp has a Welfare Officer and a qualified first-aider. Most of our staff have grown up through Sinai Youth. The Madrichim are often close in age to the participants which means they can create a real friendship with participants, and the Madrichim are often seen as role models – positive Jewish role models that create a sense of inspiration and pride for our Chanichim. We believe this is a very powerful educational tool. The Madrichim spend as much as two weeks leading up to camp preparing themselves and planning for camp, and work tirelessly to provide an exciting and stimulating experience for our Chanichim. They are supported by our Makzirut and the SMT of camp. If you have any queries please email camps@sinaiyouth.org. Once again we are here to help you and look forward to answering your questions and receiving your application soon!